Hello friends! It’s Smitha here with a new blog post! 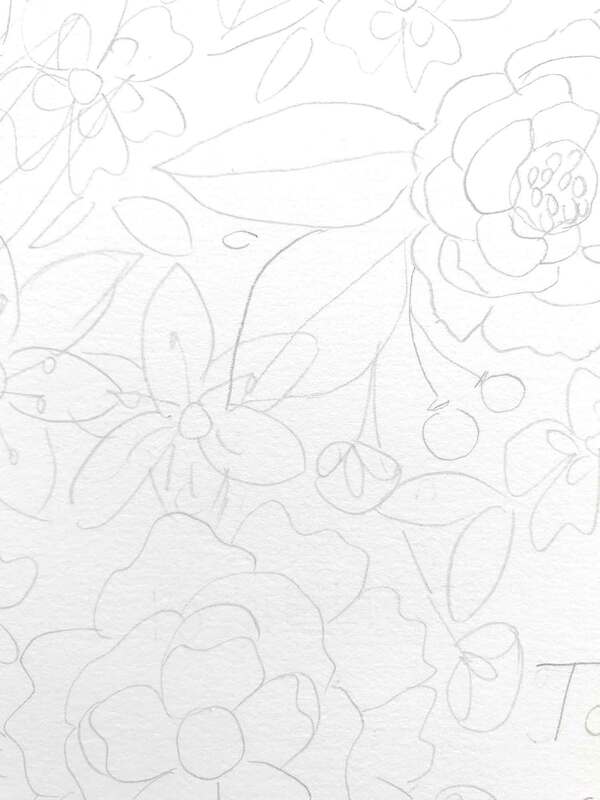 Today, I am drawing my all time favorite things ever: florals! I’ll be sharing tips on why I always use a pencil first in my illustrating. Click the video box below to see this illustration (along with a few others) come alive from start to finish. You can also click here to watch it on YouTube. Here are my 4 top reasons to use a pencil for illustrating. While sketching out your initial design, you might not really have a clear idea in mind. I like to start in the center or from one corner. Then I slowly work to fill the entire page up. 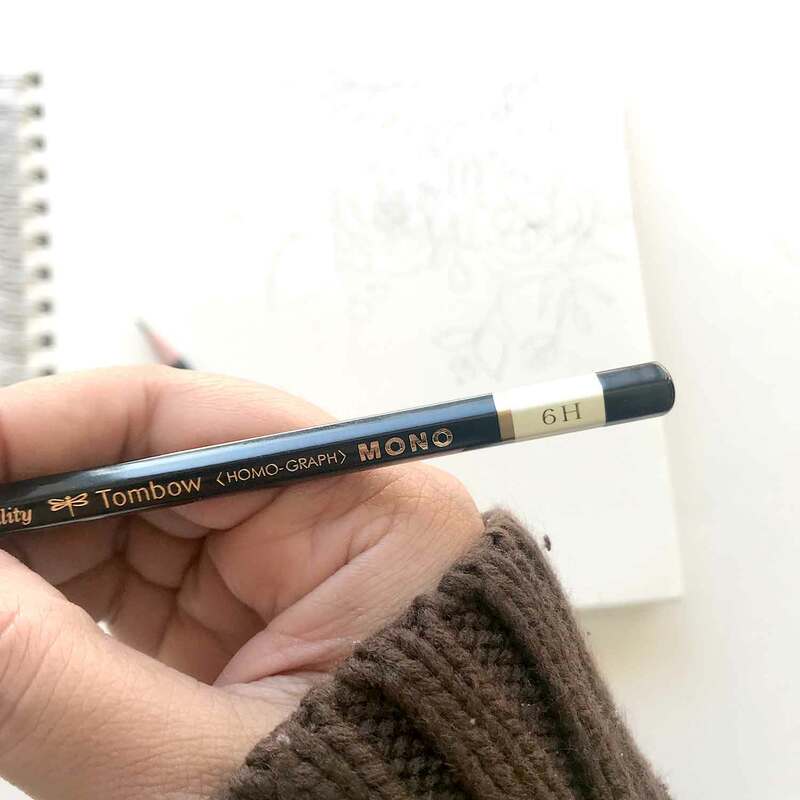 Using the MONO Drawing Pencil 6H gives us light lines that don’t stain the pages easily. The beauty of using pencils is that it gives us the freedom to easily change our minds and erase everything or anything. Using a pencil will help us figure out the placement of the flowers and leaves. 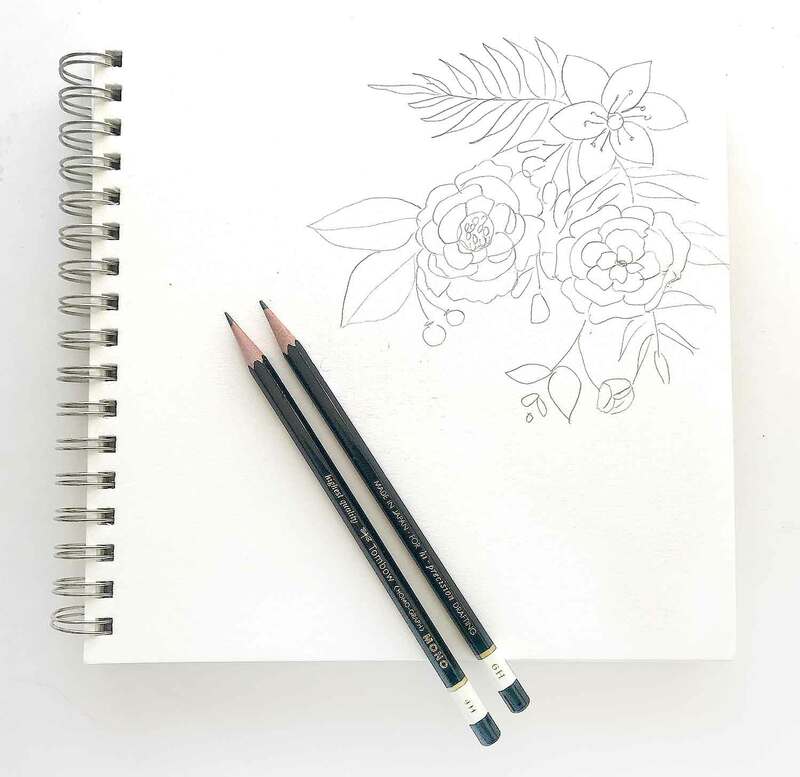 Start doodling your flowers with a light pencil sketch that is easily erasable later. If you don’t like how the flower looks, simply erase it and start again. 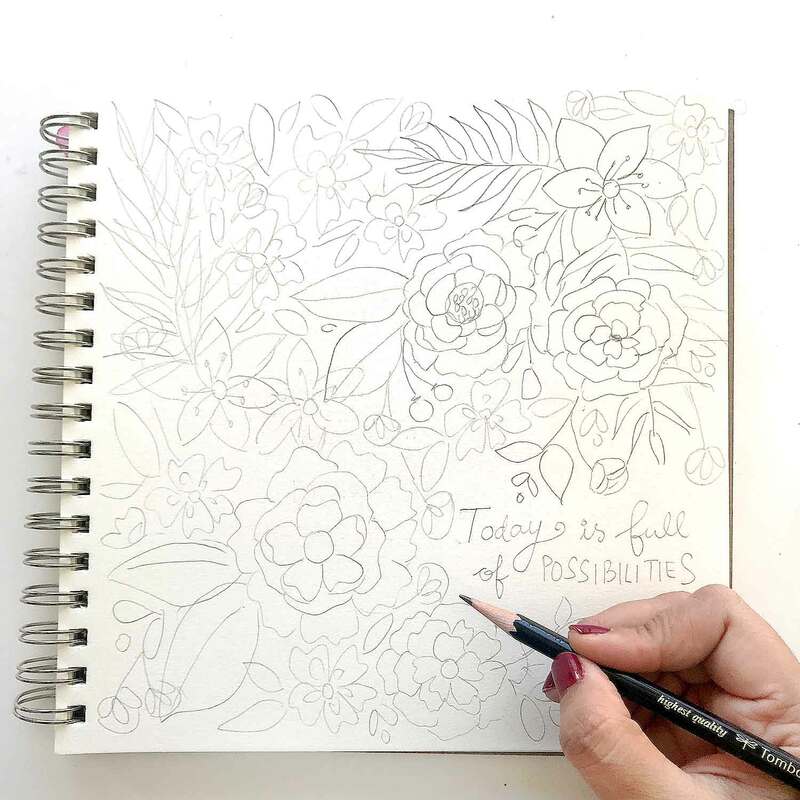 Make sure to vary the size of your flowers, the flower shapes, and the leaves that you draw. This adds more interest to your composition. I also love using a pencil for my sketch, so I can easily overlap elements to create a layered look. I cluster the flowers and leaves and then fill in the blank spaces with more flowers. While inking the sketch, I will choose one of the flowers to be on top and only ink the overlapping element partially. 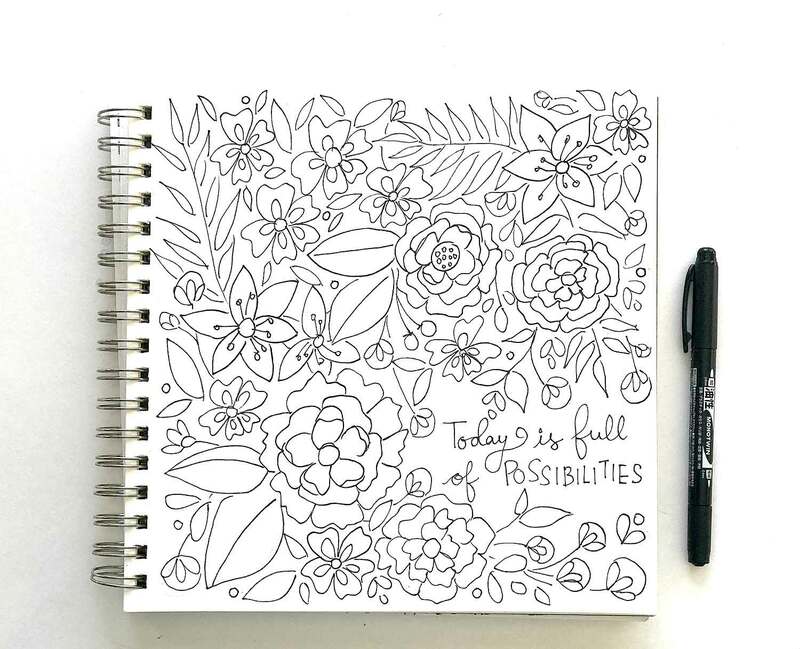 Continue in this manner in order to fill the entire page with your floral design. I like to add a simple quote. Using a pencil helps me center the quote correctly and evenly space the letters and words. Once I like how my pencil sketch looks, I gently erase the lines till they are a bit lighter. Then I ink them with the MONO Twin Permanent Marker. Do you like using a pencil in your illustrations? Let me know in the comments below!